Just how many parenting books do you have? I have so many, I don't even know...I love my children so much and have always wanted to be the best mama I can be. Yes, the Bible gives us instructions for all of life, but let's face it: most of us just haven't had the information passed down to us that we needed, to know how to parent well. Lots of times we're just flailing around, trying to get through each day with the most peace possible...sometimes shrieking for the children to be quiet? 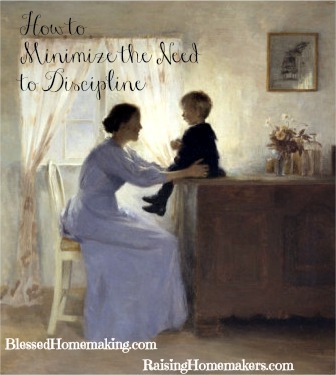 Join me today at Raising Homemakers where I share the latest parenting lessons I'm learning.